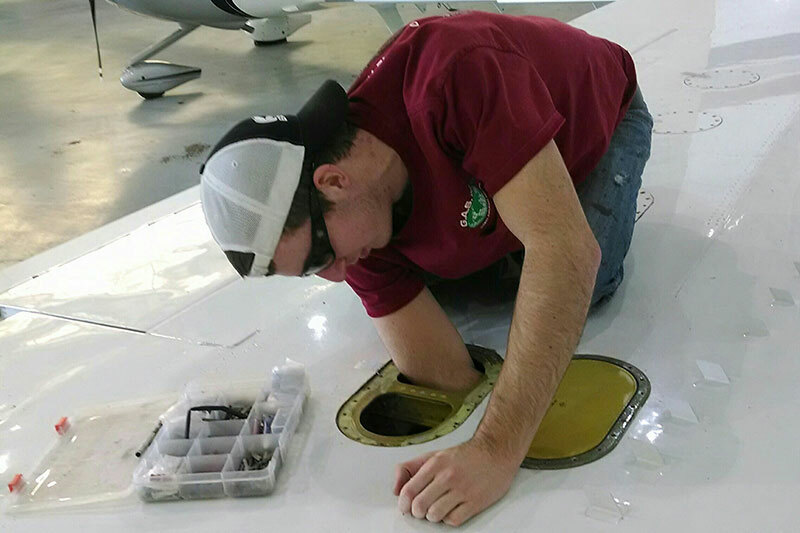 Global Aircraft Service has a team of highly-qualified structural repair technicians to perform aircraft fuel tank repairs. Aircraft fuel storage repairs range from simple fastener replacement to major integral tank wing skin replacement and/or repairs. All work is accomplished IAW approved data. 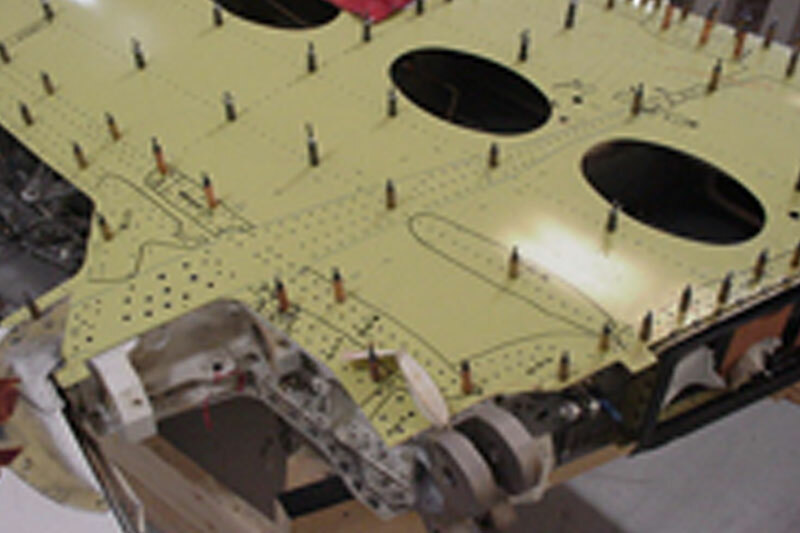 Our team of skilled technicians can remove and replace Citation integral tank wing skins including leading edge skins under the wing, heated leading edges and access panel flanges. We also install Dassault Falcon Jet center wing fuel probe cut-out doublers as well as Gulfstream bottle pin replacements and we have the capability to install a large variety of different types and size fasteners with our selection of pneumatic guns. When you trust us to handle fuel tank repair services, rest assured you’re receiving the most professional service in the industry. 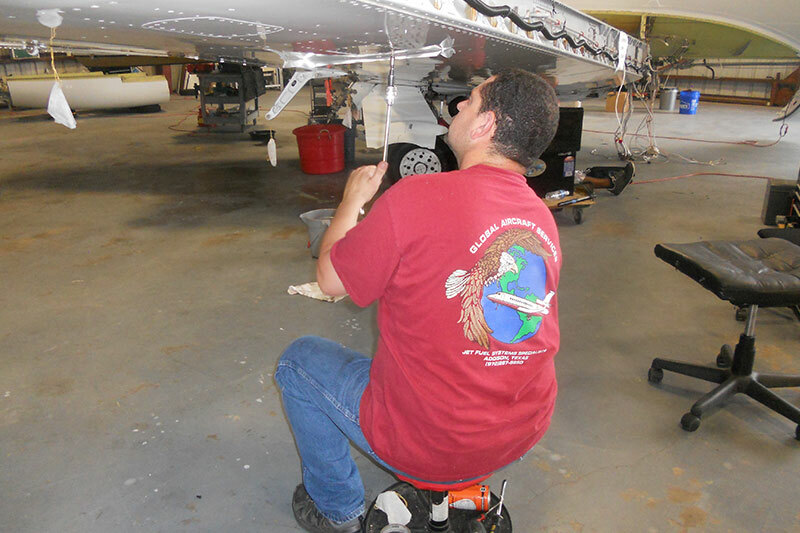 Why trust Global Aircraft Service for aircraft fuel tank repair? Our many years of experience combined with state of the art techniques and equipment makes us the best choice for fuel tank repair services. 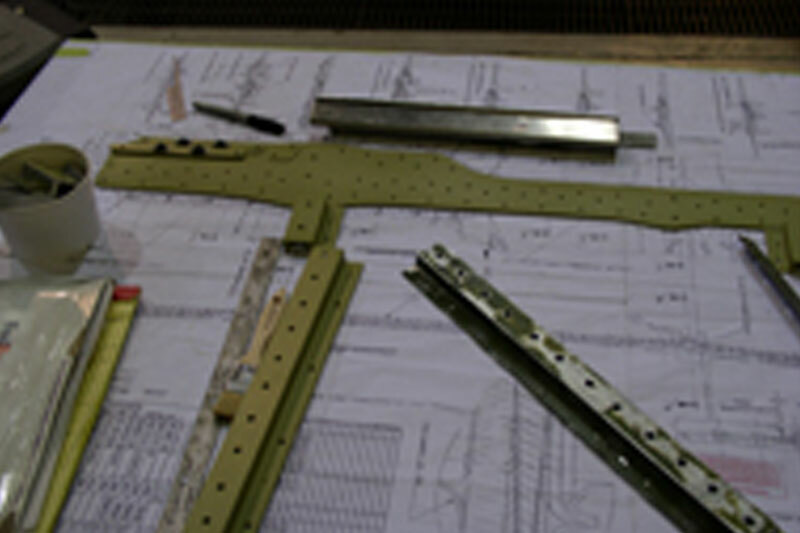 We have experience working on commercial, general aviation and military aircraft and we provide cost-effective solutions that minimize downtime. In addition, we offer related services such as fuel leak detection and repair, pre-purchase inspections and corrosion detection. Contact Global Aircraft Service today and discover why we’re the go-to company for aircraft fuel tank repair. We look forward to hearing from you!